The majority of contemporary model management languages that support MDE tasks (such as model transformation, validation and code generation) require models to be captured using metamodelling architectures such as Ecore and MOF. In practice, a limited subset of modelling tools – with the exception of some UML tools – build atop such architectures. For many modelling languages and tools outside of the UML/Ecore/MOF family, plain XML is a widely-used model storage and exchange format. 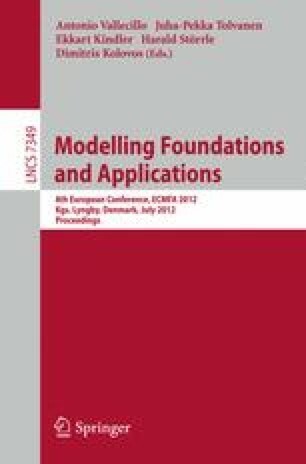 In this paper, we argue for the importance of integrating XML-based models in the MDE process. We identify the challenges involved in integrating XML-based models into MDE processes, and we present a technical solution that addresses these challenges, which enables developers to perform a wide range of model management tasks on models captured in XML.